Located within the Orient Bay residence, Villa O is only minutes away from Orient Bay beach and overlooks both Orient Bay and Le Galion with St. Barth in the backdrop. The terrace includes two infinity pools and a large covered space ideal for dining or lounging. The layout of the home creates a seamless blend between the indoor and the outdoor living spaces. Each bedroom, all equal in size, have en-suite bathrooms and direct access to the pool. The bedrooms were designed to provide optimal views of the magnificent backdrop. The bedroom amenities include air-conditioners, dressings, and large upscale ensuite bathrooms with rain shower heads. The living room and kitchen are equipped with high end amenities. The living area is fully air-conditioned, Sonos surround sound system, wide screen tv, and high end furniture. The kitchen is fully equipped with two refrigerators, a freezer, ice-maker, wine cooler, dishwasher, stainless steel convection oven and 4 burner stove, coffee maker, and Nespresso machine. 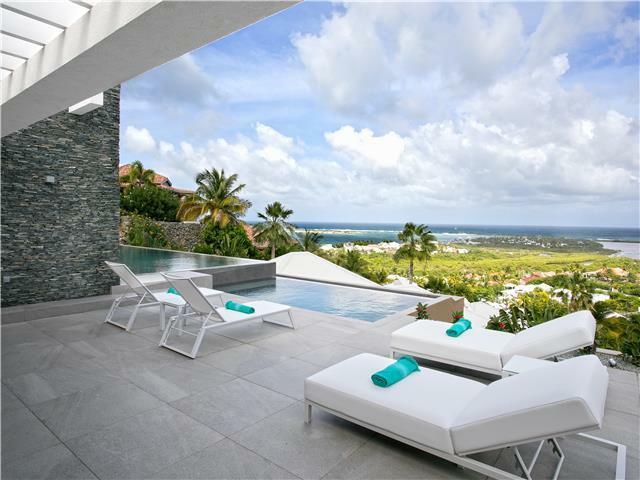 Villa O is an easy choice for a traveler looking for a high-end experience in St. Martin. With over 3,000 ft² of luxury space the villa offers an exceptional temptation for a truly unique villa experience. 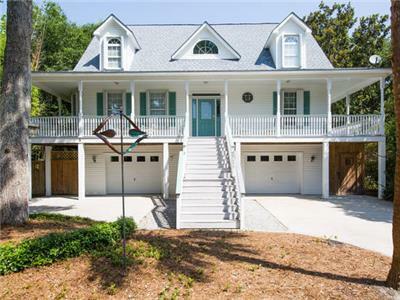 - Orient Bay view - Internet, Safe, BBQ Grill, Gated, 110V, Speaker System, - Private pool 55 ft long, 6 ft deep - AC, Satellite TV, Phone in living area - Fully equipped kitchen with AC, Refrigerator, Blender, Microwave, Toaster, Espresso Machine, Coffee Maker, Wine Cooler, Oven, Stove, Dishwasher, Washer, Dryer, Iron - Bedrooms: all bedrooms have king beds, ensuite bathrooms and AC - Bathrooms:all bathrooms have shower, hairdryer, AC and 1 & 4 have outside shower. - Distances Closest Beach - 5 min drive Closest Grocery - 10 min drive Closest Restaurant - 5 min drive Airport - 40 min drive - Free Beach Chair & Umbrella at Bikini Beach, Gym 10-min Away - Staff: Housekeeper (Off Site), Pool Person (On Site) At Key Caribe we pride ourselves on your satisfaction and you can be rest assured knowing that our villas are suitable for a range of people. Our properties are all close to the beach and local tourist's amenities such as bars, restaurants, cultural activities and much more.